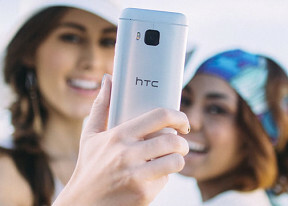 HTC One M9 comes with Google Chrome, which is becoming the most popular mobile browser and should be fairly familiar. It has some advantages over competitive browser, including switching between tabs from the Lollipop's Task Switcher interface. The HTC One M9 comes with Polaris Office 5, which can view and create Word, Excel and PowerPoint files, it can display PDFs too. The app handles files stored locally along with ones in your Google Drive account. The View Together option lets you do a presentation on multiple devices by connecting them together wirelessly. HTC has skinned the calendar to match Sense 7 looks. Adding an event lets you specify time (with a warning if there's a conflict with another event), who will attend and where the meeting will be held. Multiple online calendars are supported. The alarm clock application can handle multiple alarms, each with its own start and repeat time. The stopwatch and timer are self-explanatory. There is a cool Weather app as well, which relies on the AccuWeather services. HTC Scribble is resurrected, with optimized interface for both drawing and taking notes. You can make cards, lists, diaries, to-do sheets, among others. It supports various type of multimedia content and comes with lots of predefined templates to get you started. The last time we saw Scribble was in the HTC One Max, and we are happy to see it brought back from the dead and with updated interface and functionality. Google Maps is the default SatNav app and is the only one a typical user needs. It can plan driving, public transport, cycling and walking routes. With a data connection it will also display traffic alerts. It allows you to download offline maps of an area but in this case it would only serve as a digital map and address searching is not available.